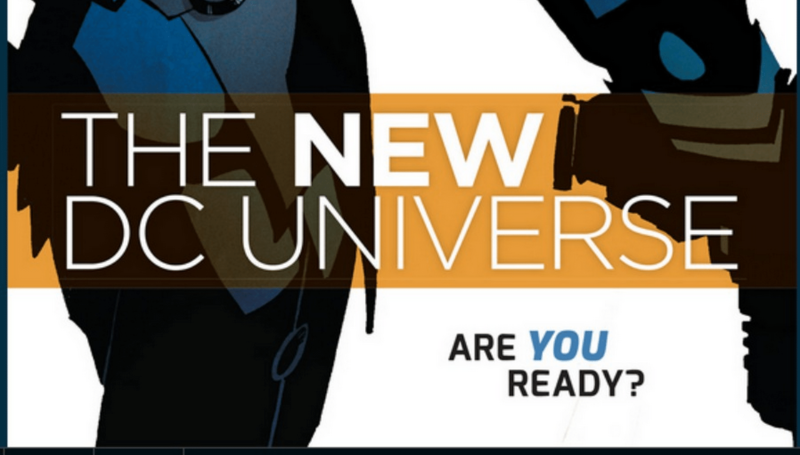 DC Entertainment is going in a completely new and different direction for the DCU by launching a new advertisement campaign: DC YOU. The new lineup will be all about the fans and DC Entertainment is focusing on creating better storytelling for us. Starting this summer, there will 24 new comic book series already joining the 25 best-selling comic series. This will result in a total of 49 comic book series, one of the biggest lineup to date. The lineup will include all the fan favorites such as Superman, Batman, and Wonder Woman while hitting the reset button for other characters like Black Canary, Cyborg, Starfire, and Bizzaro. The DC YOU campaign is basically acting as a reset button for the entire DC Universe. A way of advertising DC YOU, DC Entertainment has released several campaign videos. Each video hitting on some of the aspects that make the different comic series fun for readers: Humor, Action, Heroes, Bad Guys, etc. For more campaign videos, just go to the DC Entertainment Youtube channel. The DC YOU lineup is coming out Wednesday with “Midnighter” #1, “Batman Beyond” #1, “Justice League” #41, “Bat-Mite” #1, “Bizarro” #1, “Omega Men” #1, “Action Comics” #41, “Green Lantern” #41, “Lobo” #7 and “Green Arrow” #41. For more info on DC YOU, click here for the free sampler.